The Mexican Drug War has killed an estimated 60,000 people since 2006, but the violence has stayed out of the minds of most US citizens. That is about to change as Islamic extremist groups setting up shop in Mexico. The House Committee on Homeland Security released a November 2012 report that reveals Islamic terror organizations and networks are indeed exploiting profits from narcotics, and the ease of weapons attainment, and the vast technological abilities of Mexican and other southern cartels that are thriving in Mexico’s lawlessness, along with other southern regions. 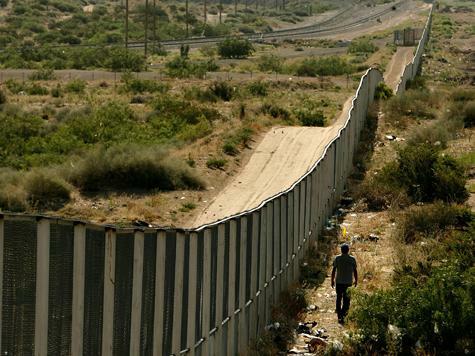 The report, titled A Line In The Sand: Countering Crime, Violence, and Terror at the Southwest Border, details the growing involvement of Iran and Hezbollah in Mexico and other countries south of the southern US border. In 2006, the Subcommittee reported on the presence of both Iran and Hezbollah in Latin America. Since then, that presence has continued to grow with Iran now having embassies in 11 Latin American countries that include Bolivia, Chile, Colombia, Nicaragua and Uruguay. This unsettling trend was the reason for a Subcommittee-led Congressional Delegation to Latin America in August 2012. The Delegation traveled to Mexico, Colombia, Paraguay, Argentina, as well as the Tri-Border Area (TBA) of Brazil, Paraguay and Argentina, for a first- hand assessment of the increasing threat posed by Iran and Hezbollah in Latin America. After conferring with U.S. officials, foreign leaders and other experts within these countries, the Subcommittee has concluded that Iran and Hezbollah pose a threat to the entire Western Hemisphere including the United States and our Southwest border. These new revelations add further concern to US safety when coupled with the December 2011 indictment of Lebanese drug lord Ayman Juma. The indictment revealed Juma was a go-between for Hezbollah and the Mexican Los Zetas cartel. Juma’s indictment showed that 85 tons of cocaine had been delivered into the US by Juma for the Los Zetas. Juma had laundered $850 million for the cartel, of which he received approximately 12% in commissions. The commissions were then given to Hezbollah to fund terrorism. The Mexican government has disputed the report as false and even used other US government reports to back up Mexican claims of being free of terror ties. However, the facts and incidents in the November 2012 Homeland Security Committee report speak for themselves, as well as other revelations and public declarations from various officials and agencies within the US government.